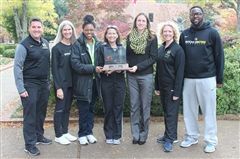 Hutchison subscribes to the belief that girls should be encouraged to participate in athletic endeavors that develop character traits important to personal growth and success in life. Closely mirroring the trajectory of our academic program, we guide and inspire our girls from the early stages of skill development to the varsity level of highly committed athletes. While winning is important, particularly at the varsity level, the reason we compete is personal growth that comes from reaching one’s full potential whether in intramurals, on middle school teams, or in the highly competitive high school experience. The athletic program promotes responsibility, commitment, sportsmanship, and excellence in individual and team efforts. We provide ample opportunities for young female athletes to hone their talents, experience the fellowship of teamwork, and understand the value of good sportsmanship. Skill, commitment, and maturity are the basis for varsity selection. Each girl’s skill level is re-evaluated at the beginning of the season to determine team membership. At this highest level of competition, decisions regarding playing time are made at the discretion of the coaches. The varsity experience is intended to be the culminating high school experience for the highly committed and skilled athlete. The junior varsity level enhances team and individual skills and prepares athletes for the extremely competitive varsity experience. Coaches determine playing time with a dual emphasis on the competitive quality of the experiences and the skill of the players. Freshman programs are added in some sports to enhance the skill development of athletes by providing additional game opportunities. Freshman athletes are able to experience high school competition and learn first hand the high level of commitment expected at the junior varsity and varsity levels. The middle school athletic program is open to girls in fifth* through eighth grades and is designed to prepare student-athletes for the more demanding high school programs. Focus is on developing fundamental skills and sportsmanship, while learning the responsibility of being on a team. Coaches are encouraged to develop a rotation of players to facilitate maximum game exposure for each player. 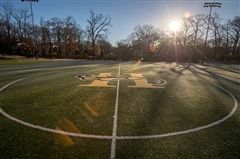 *Hutchison is firmly committed to finding athletic opportunities for all girls. However, some middle school sports may not be open to fifth grade students because of league restrictions. 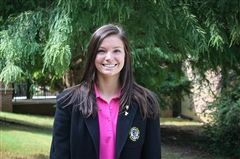 The developmental athletic program encourages all Hutchison girls to enjoy and explore new talents as they participate in recreational athletics. The program focuses on individual skill development with an emphasis on team play, responsibility, and sportsmanship. Athletes participate in intramural or recreational league play, and coaches develop a rotation of players to ensure participation for all girls.